David Jackson was named President and CEO of the Boone Area Chamber of Commerce in August of 2016. Jackson came to the chamber after 15 years as a member of the Appalachian State Athletic Department staff, serving the last 10 years as Associate Athletic Director. During his tenure he supervised various areas under the department’s external operations umbrella, including marketing and promotions, ticketing, media relations, and broadcast operations. He worked as a key organizer and spokesperson for special projects and coordinated events with University, community, and chamber leadership over the years. A 2000 graduate of Appalachian State, Jackson served as radio play-by-play announcer for Appalachian Football, men’s basketball, and baseball teams for 16 seasons. He was twice named North Carolina Sportscaster of the Year (2007,’12) by his peers in the National Sports Media Association. He has been a member of NSMA’s National Board of Directors since 2010. He serves as an Adjunct Professor in the Department of Communication at Appalachian State University, teaching Broadcast Performance Techniques. Jackson occasionally works as a freelance announcer for the Carolina Panthers and East Tennessee State University. Jackson has lived in the Boone area since 1996 and has been active with several community organizations. 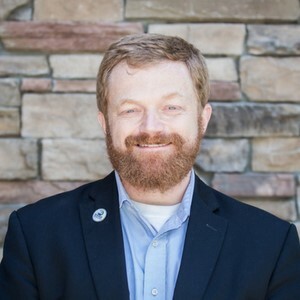 He serves on the Board of Directors of Watauga Opportunities, Inc and served three years as co-chair of the High Country March for Babies, the area’s annual March of Dimes fundraiser. Jackson emcees various functions throughout the community including the Shooting Stars talent show for the Watauga Education Foundation . He is also an actively involved member of the Parkway Elementary School PTO. A native of Greensboro, NC, Jackson married the former Leila Pratt in 2002. The couple resides in Boone with their two children, Maren and Louisa.